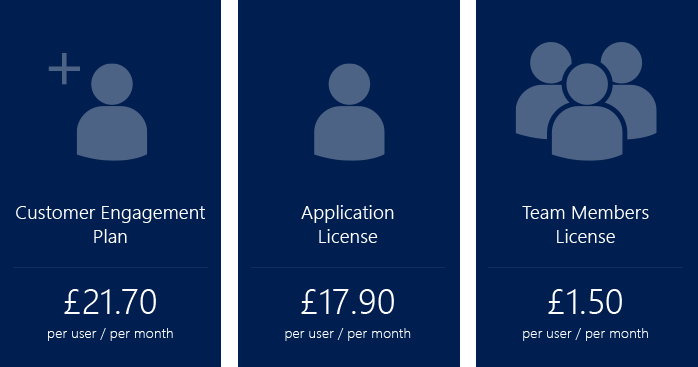 Not for Profit organisations in the UK may be eligible for discounted Dynamics 365 subscription fees. This can apply to non-profit or non-governmental organisations that have recognised charitable status and/or are tax exempt from HM Revenue & Customs. Organisations located in Northern Ireland must be registered with the Charity Commission for Northern Ireland (CCNI). Organisations that discriminates based on race, colour, gender, religion etc. will not be eligible. The only exception to this policy is for religious organisations that are exempt from laws that prohibit such discrimination. To find out if your organisation is eligible for discounted licenses and subscription fees, you can find out by completing the “Microsoft’s non-profit programs” questionnaire where you will be notified by Microsoft if your organisation meets the criteria. It should be noted that schools, colleges and universities are not eligible for non-profit rates and should apply for educational pricing, which is still heavily discounted. Please Contact Us for an academic quotation. There are three core User Subscription Licenses (USLs) for Dynamics 365 that you can choose from. Please note that pricing may be subject to change. Please contact us for latest pricing. The Customer Engagement Plan gives you the flexibility to work with any application functionality in the customer engagement side of Dynamics 365 which are Sales, Field Service, Customer Service, and Project Service Automation. This also includes access to Microsoft PowerApps. This is beneficial for staff that are required to contribute across more than one app area e.g. Field Services and Sales. Application subscriptions are named user subscriptions where a user is licensed for a specific application e.g. Sales. Application subscriptions also include the right to use PowerApps for mobile app creation. Application Users will have access to either Sales, Field Service, Customer Service, or Project Service Automation. The Application Licenses are a cost effective solution when certain Users are allocated to a certain role i.e. sales managers would only need to use the Sales App, customer service representatives would only need to use the Customer Service App. The Team Members subscription is a named user subscription designed for users who are not tied to a particular function, but who require basic Dynamics 365 functionality. This license includes read access as well as some write access for select light tasks across all Dynamics 365 applications for a given tenant. If you are a non-profit organisation and would like advice and assistance with purchasing Dynamics 365 licenses at discounted rates then please Contact Us today.